Service in CMA - What is H&I? What is a Service Commitment? What is the Seventh Tradition? 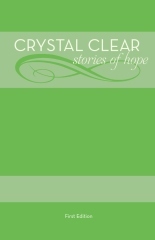 "Crystal Clear – Stories of Hope" is a collection of personal stories of recovery from the members of the Twelve-Step fellowship Crystal Meth Anonymous (CMA). Members of CMA describe their personal journeys getting clean and sober; their process of working the Twelve Steps; and offer their experience, strength and hope for those struggling with addiction to crystal meth. At the first General Service Conference, the following statement was adopted; "The Fellowship of Crystal Meth Anonymous works a Twelve Step program of recovery. We have not felt the need to elaborate in great detail a specific CMA approach to the Twelve Steps: too many other excellent outlines already exist for following these spiritual principles. But our experience has shown that without the Steps we could not stay sober." You can be of Service In CMA. "CMA, as such, ought never be organized; but we may create service boards or committees directly responsible to those they serve. – Tradition Nine"
Crystal Meth Anonymous is primarily a spiritual entity concerned with carrying the message of recovery, but it is also an incorporated, non-profit organization which must comply with state and federal laws. Our service structure is designed to balance these two roles while expressing the group conscience of the Fellowship of Crystal Meth Anonymous. For a complete explanation of our service structure, members are encouraged to read our General Service Manual . We have included a few resources and information here for members of individual groups and those involved in, or interested in, CMA World Services. For most of us, our first connection with CMA was at a meeting of Crystal Meth Anonymous. A meeting usually takes place at a specific time and place where two or more addicts come together for the purpose of recovery. In contrast to a meeting, a CMA group is a spiritual entity that exists beyond the specific time and place of the meeting for the purpose of carrying the message to the addict who still suffers. Some members choose to become involved in service outside the groups. These activities take place at the District, Area, and World levels. The primary service activities at the World Services level take place through involvement with the annual General Service Conference. Between conferences the General Services Committee meets regularly to discuss issues within our Fellowship and to implement recommendations from the conference. The GSC also establishes budgets, prepares financial reports, and pays expenses incurred at the World Services level. Through its subcommittees, the GSC operates the website, publishes literature, encourages H&I activities, and responds to outside requests for information. Additionally, the subcommittees of the GSC provide services to members and groups, such as the distribution of chips and literature. The General Services Committee (GSC) currently has six standing Subcommittees: Conference, Hospitals & Institutions, Literature, Fulfillment, Public Information & Outreach, and Communications.